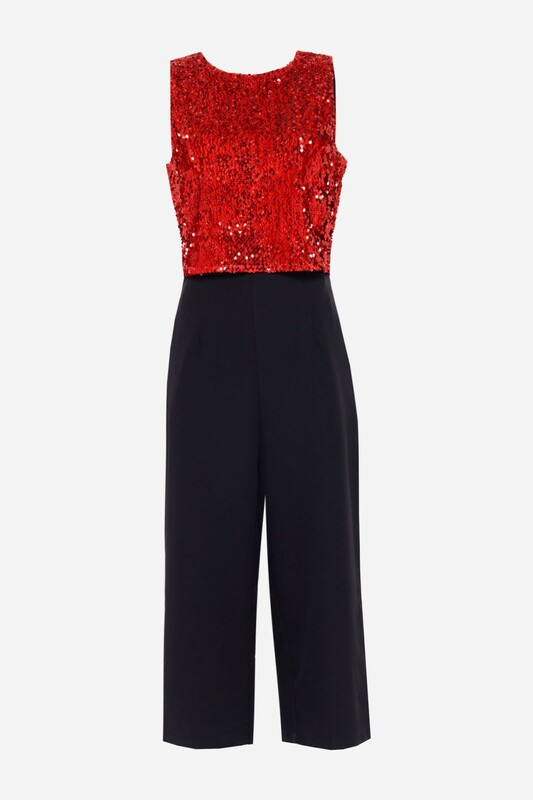 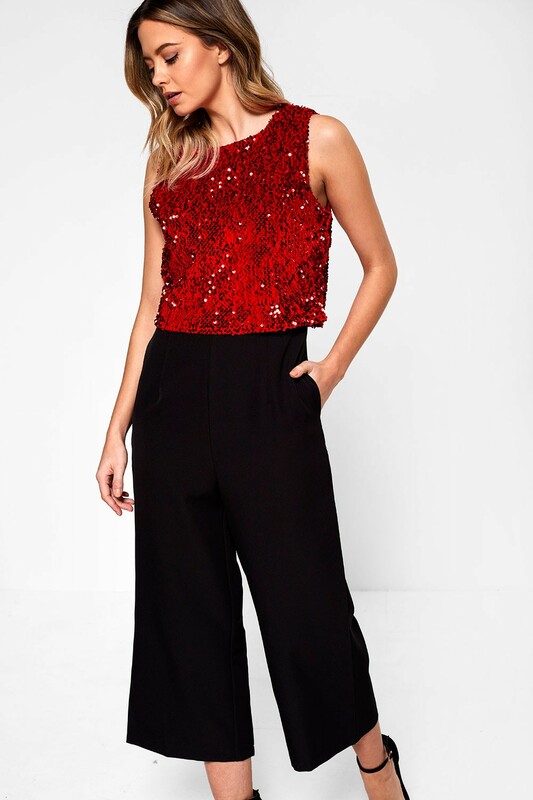 An elegant party option, this culotte jumpsuit adds a touch of sparkle with a sequin overlay. This flattering design has a sleeveless silhouette, round neck, side pockets. 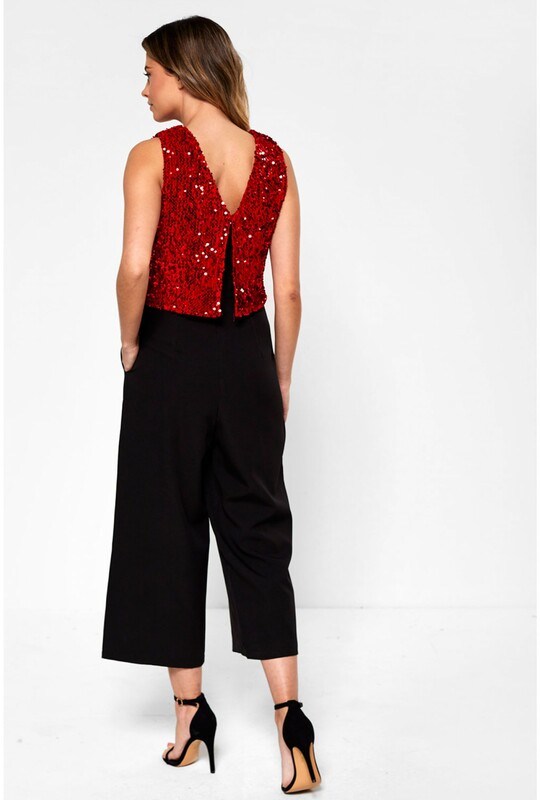 Style with black strappy heels and earrings.